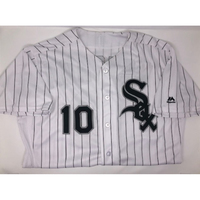 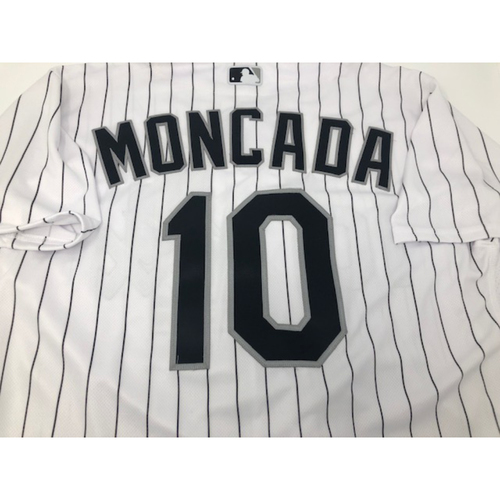 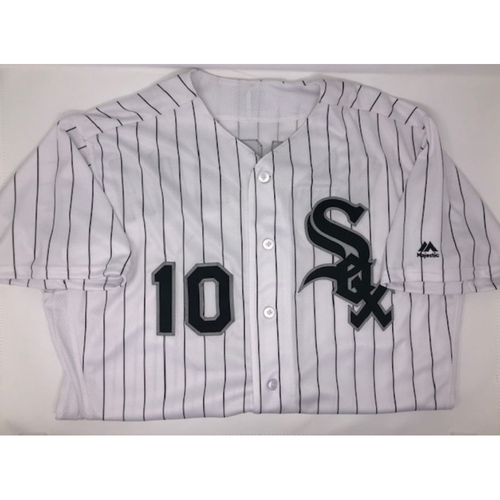 Bid on a Team-Issued white pinstripe jersey of Yoan Moncada. 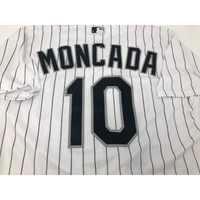 Moncada batted .235 in 2018. 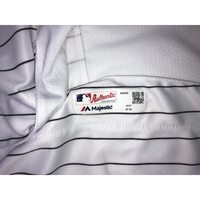 This jersey is authenticated by MLB and is a size 46. 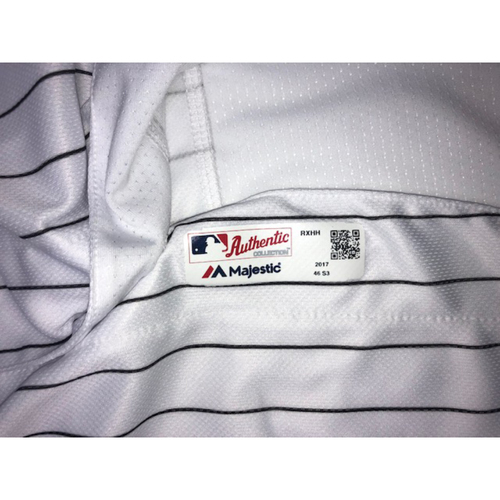 The tag reads 2017, set 3.